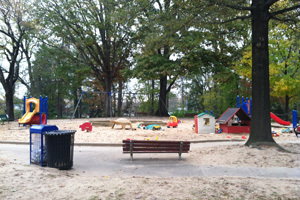 North Harrison Street and 27th Street North. 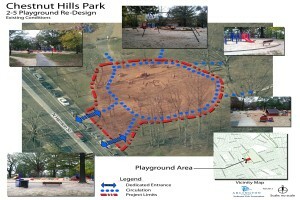 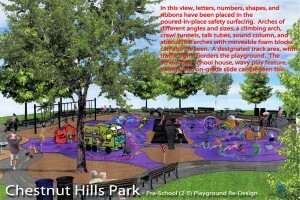 PAY-Go funds were allocated to redesign the existing preschool (2-5) playground at Chestnut Hills Park. 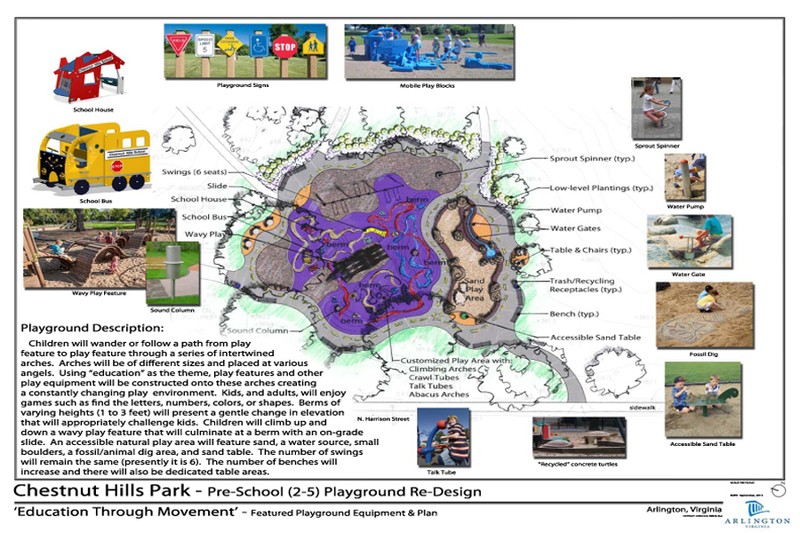 Playground equipment, playground surfacing, pedestrian circulation (including ADA accessibility) and site furnishings are among the major project components and goals. 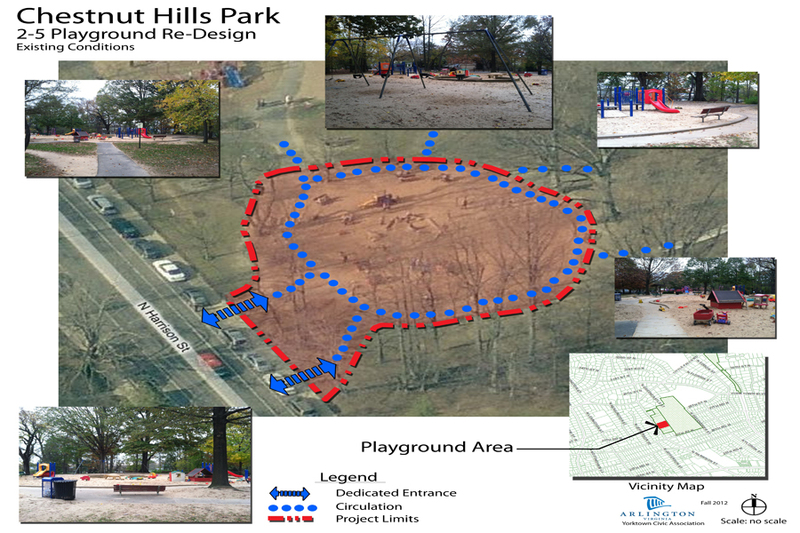 On Nov. 8, 2012, Joshua Serck, County Staff Landscape Architect, introduced the project at a general Yorktown Civic Association. 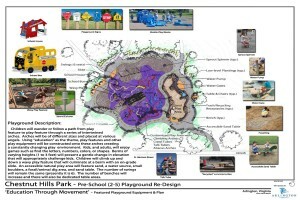 Design Meeting #1 was held on Feb. 27, 2013. 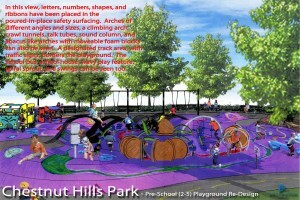 A concept was chosen for the playground at Design Meeting #2. 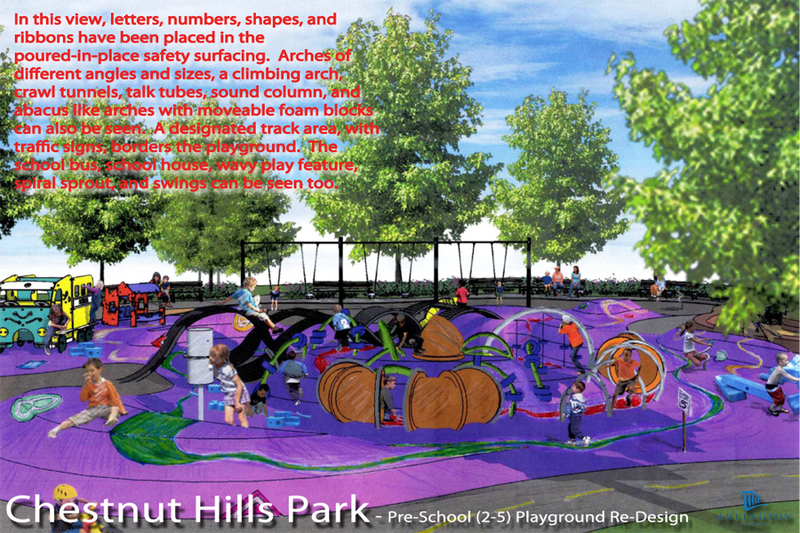 This concept was presented to the Yorktown Civic Association on April 24, 2013 to gain their support for the concept. 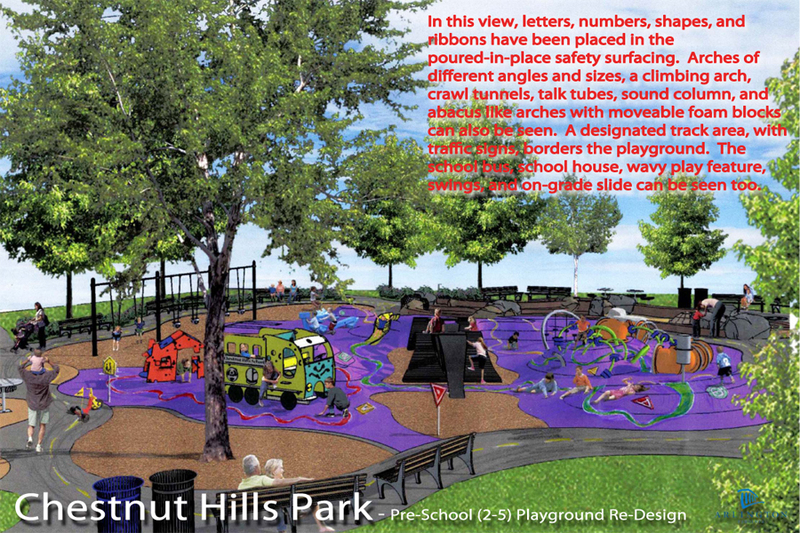 With feedback from this meeting, the project has now moved to the construction documents and permitting phase. 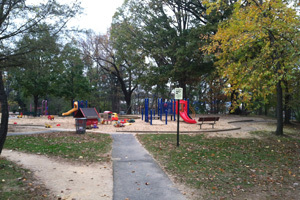 FY2012 PYGO, Parks Maintenance Capital.